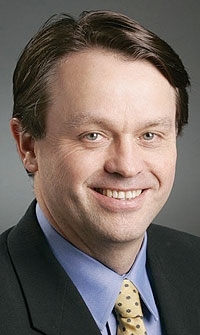 DETROIT -- Brent Dewar, General Motors Co.'s European sales chief, was named vice president of Chevrolet as part of a sweeping overhaul involving appointments and departures for about two dozen executives. Bryan Nesbitt, 40, currently chief of GMs North American design, will become general manager of Cadillac on August 1, the company said in a statement. Susan Docherty, 46, will remain in charge of Buick and GMC as general manager. She had been vice president. All three brand leaders will report to Bob Lutz, 77, who was named vice chairman of marketing as GM emerged from bankruptcy two weeks ago. (See pdf file at right and table below.) He plans to make design the focus of GMs advertising message. Ed Peper, 47, vice president in charge of Chevrolet, will take responsibility for Cadillac sales as general manager. The intent is to integrate product design, marketing and advertising while allowing sales to have a separate focus. In that vein, Peper will report to Mark LaNeve, vice president in charge of U.S. sales and service. Cadillacs interim general manager, Steve Hill, 49, was named general manager of retail sales support. Dewar, 54, has been in charge of European sales and marketing since June 2008. Prior to that he was North American vice president of field sales, service and parts. Maureen Kempston Darkes, 60, chief of Latin America, Africa and the Middle East. In addition, Michael Grimaldi, 57, CEO of GM Daewoo, also will leave the company. All will retire Oct. 1, except for Cowger and Darkes. Before he leaves at the end of the year, Cowger will help integrate some Delphi Corp. operations back into GM and help launch a new battery plant.